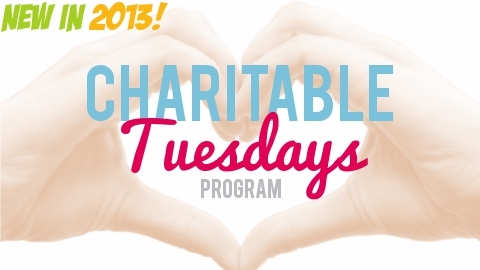 The Williamsport Crosscutters are proud to announce Charitable Tuesdays as a brand new community effort for the 2013 season. The Crosscutters will be recognizing local charities and non-profit organizations at every Tuesday home game this season. The program will give one organization per Tuesday game the opportunity to have a presence at Historic Bowman Field for the purpose of educating Cutters' fans about their organization. The organization of the game will have space in the concourse of Historic Bowman Field to display and distribute promotional literature and materials. Selling or collecting monetary donations of any kind is not permitted. Interested organizations can register to participate in the Charitable Tuesdays program by contacting Sarah Budd at (570)326-3389 or by email at sarah@crosscutters.com.